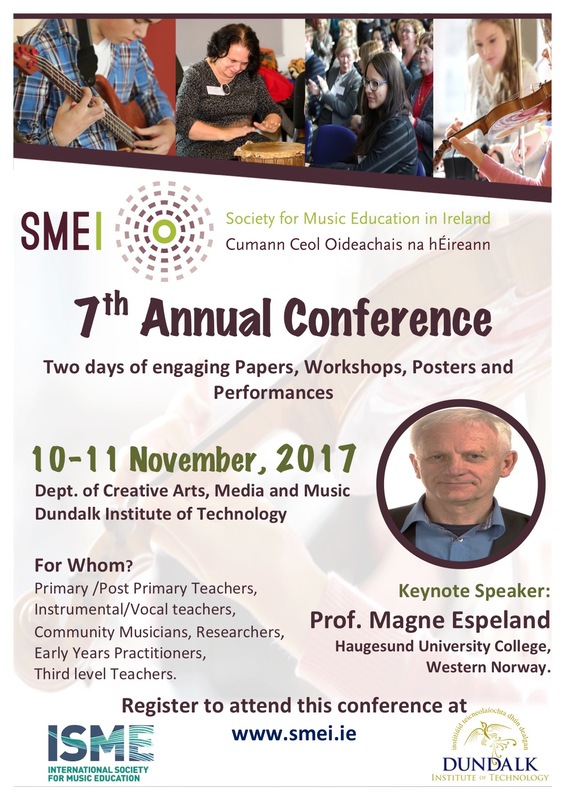 All are invited to join us for the 7th Annual Conference of the Society for Music Education in Ireland (SMEI), this year hosted by the Department of Creative Arts, Media and Music, Dundalk Institute of Technology (DKIT) on Friday & Saturday, 10th-11th of November, 2017. November 10-11th 2017. 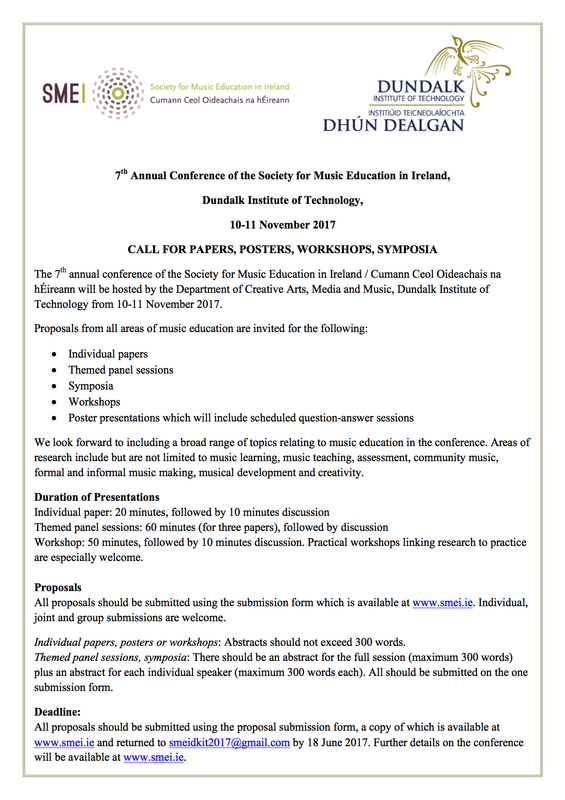 The two-day conference features research papers, symposia, posters, workshops and performances from Irish and international music educators, researchers and experts. We have several options for registration, for SMEI members, non-members, waged, and student/unwaged. To register as a current member, please select the ensure your SMEI membership is up to date from 1 September 2017. For further conference details, please visit the DKIT webpage here.